Information can be found on who your roommate will be in your P.A.W.S account. Each room has two twin beds (XL mattress), two desks, two closets, dresser, mini blinds and a MicroFridge Unit. XL beds with full-size refrigerator and couch. Buildings 1-3 have XL Twin beds, Buildings 4-10 have XL full-size beds, full kitchen with dishwasher, and washer dryer unit. Single rooms are guaranteed in the following areas: Campbell College North, Campbell College South, and University Pointe buildings 4-10. If space is available in other halls during the semester, we will assign single rooms, but due to spacing needs, this is not guaranteed. All residence hall rooms on our main campus are approximately 10′ x 12′. May I install carpet in my room? No, you may not install carpet but you may bring an area rug. May I paint my room? Our Maintenance Department handles all of the painting in the residence halls. If you feel that your room needs painting, inform your Residence Life Coordinator, and he or she will evaluate the room. After evaluating the condition of the room the Residence Life Coordinator will make a request to the Maintenance Department for the room to be painted. If I have a maintenance issue in my room how do I report it? Each student can go to the JSU Website and make a maintenance request. See the Residence Life Coordinator for instructions on how to use the I-Service Desk. If you do not have a computer or if you are unable to use the I-Service desk you may still submit a request for maintenance to the Community Director. Each residence hall has a book Request for Maintenance at the desk. Requests are submitted twice a day or more a day. The meal membership is required for all students who reside on campus during the academic school year. You may change your meal membership if it does not suit your needs by contacting Food Services. Contact Food Services for further information at (601) 979-0441. Is there Internet connect available in the rooms? Yes, Internet service is available in all residence hall rooms. Student computers should meet minimum recommended specification. Please note students are responsible for purchase and installations of software on their computers. 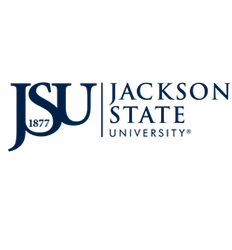 JSU Support Service Personnel will not work on a student’s computer. Computers must be free of illegal downloads, such as music, movies, etc. Each room is equipped with cable, including HBO. We do not supply cable cords. You may purchase a cable cord at any discount store. What do I do if I have problems in my room or if I need assistance? The front desk is supervised twenty-four hours a day. If you are ill or in need of assistance, call the main desk and a staff member will respond immediately. What are important campus phone numbers? Report lost keys to the Residence Life Coordinator immediately. The locks must be changed for security reasons. May I make a copy of my key? No for security purposes we will not accept duplicated copy of a room key. Each year a time period is set aside to exchange rooms usually one to two weeks after the residence hall opens for the academic year. See your Residence Life Coordinator for details. No, smoking is not allowed in the residence hall. Why do I have to consolidate if my roommate moves out? All residents are charged at a double room rate with the exception of Campbell College Suites. If you do not wish to be charged a single rate you must move to another room (consolidate) or another resident may move into the room with you. We charge students according to the way they live. If there are two people residing in a room, we charge a double room rate. If there is only one person in a room, we charge a single room rate. Do residence hall rooms have a private bath? Some residence halls do have private bathrooms, while others have community bath rooms. the cleaning staff is responsible for cleaning the community bath rooms only. However, we do ask the residence to do their part by cleaning up after themselves. Students are responsible for cleaning their private bathrooms. Each student who resides on campus is required to have a post office box. You may obtain your post office box by taking the pink copy of your License Agreement and your registration complete receipt to the Campus Post Office and you will be assigned a post office box. Packages that are sent by Fed Ex, UPS, Airborne or DHL go directly to our Central Receiving Department. The following address must be used: 1325 Hattiesburg Street Jackson, MS 39217. Please include student’s name (not parent name, middle name or nickname), Residence Hall, and Room Number. Where possible please include a telephone number to reach the student. All packages may be picked up at the Post Office. Yes, we strongly encourage each student to insure his or her property. Included in our mail outs are insurance brochures from a national insurance company. If you did not received insurance information please contact the Housing Office and we will mail a brochure to you. For Further Information, please contact your Community Director or call the JSU Housing Office at 601-979-2326.